Mustang Island is a barrier island bordered by Corpus Christi Bay on one side and the Gulf of Mexico on the other. Providing the ideal Gulf Coast family vacation destination, the Island sits within the city limits of the quaint little town of Port Aransas, or Port A, as the locals call it, and connects to Corpus Christi via Padre Island by the John F. Kennedy Memorial Causeway. Sandpiper Condominiums is the premier condo rental property on Mustang Island. This fantastic beach-side destination has been identified as one of the 10 best barrier islands resort areas in the entire United States; an achievement we are very proud of and hope to continue to achieve year after year. Each of our luxury condo properties has sweeping, panoramic views of the Gulf of Mexico and the Mustang Island coastline. Our one, two and three bedroom vacation rentals include fully-equipped kitchens, daily maid service, and private beachfront balconies. Beachcombers will find miles of white sandy beaches, while surfers, boaters, and sailors play in the waters off the Texas gulf coast. Mustang Island and Port Aransas are home to a wide variety of restaurants and shops as well as the Texas Aquarium, The U.S.S. Lexington, great bird watching, world famous sand castle building and SO much more! Port A is always packed with fun, and family-friendly things to do. Put away your clock and enjoy yourself on Mustang Island Time! 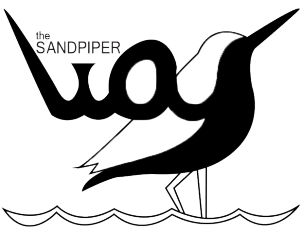 Be sure to take advantage of our Sandpiper W.A.Y (We Appreciate You) Program! Enjoy special discounts or other benefits from area vendors. Check out the many Things to Do in Mustang Island and save!